From Much Wenlock take the A4169 towards Ironbridge and Telford. The Woodshed is approximately one mile from Much Wenlock, taking the first left onto Sheinton Road after the turning for Homer. Sheinton Road is signposted to Sheinton and Cressage. 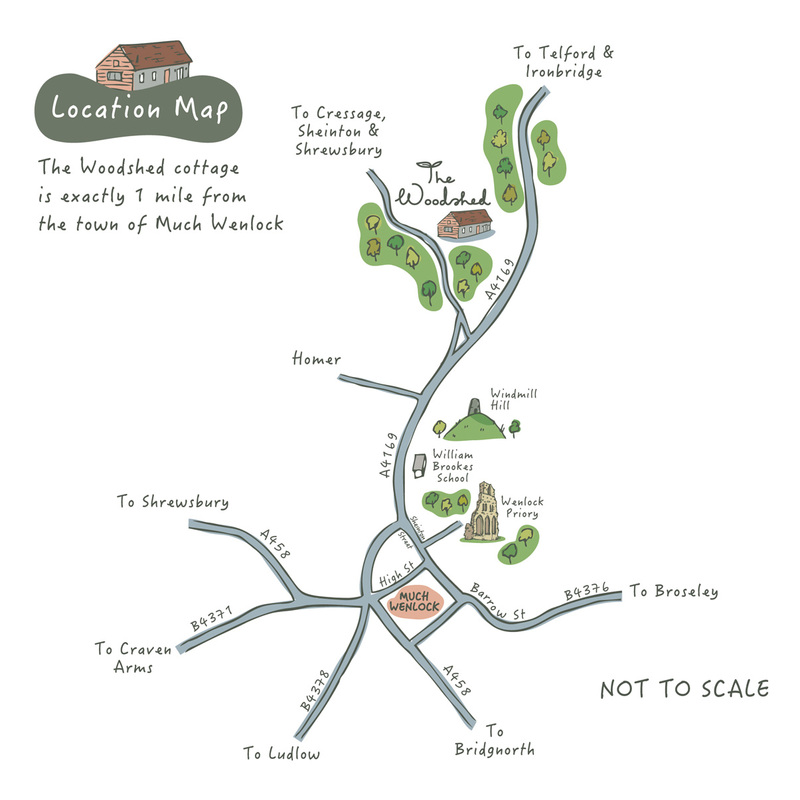 The Woodshed is situated on Gleedon Hill Farm, which is the first residence on the right.